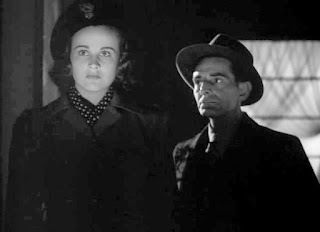 A schoolgirl (Kim Hunter) learns that authorities haven’t heard from her sister (Jean Brooks) in some time. Worried, the girl journeys to New York to find some clue to her sibling’s whereabouts. There, she finds that the mystery is not just about her sister’s current location, but why she is in hiding, and from whom she is hiding. An intriguing premise begins this movie, which combines drama with psychological horror. Everything here depends on atmosphere, created not just by the director and cinematographer, but by the actors, producer and writers. For the most part, The Seventh Victim is a success, though it is let down by what I would call an incomplete script - as opposed to the story - and, possibly, too much editing. Hunter, in her film debut, has to anchor the cast, and, though a neophyte, does a good job. Her character is fittingly innocent and puzzled, but also intelligent and intuitive. 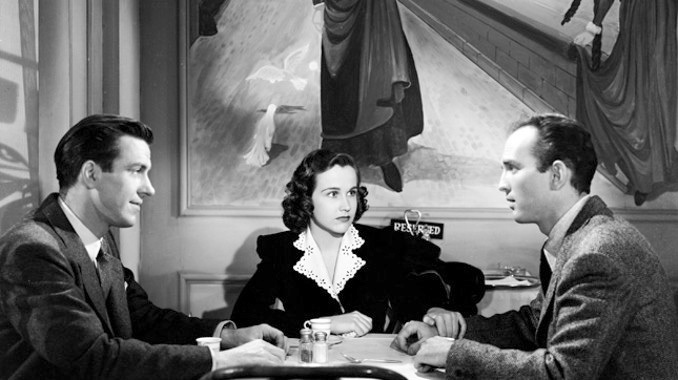 The young actress holds her own among the more experienced players. 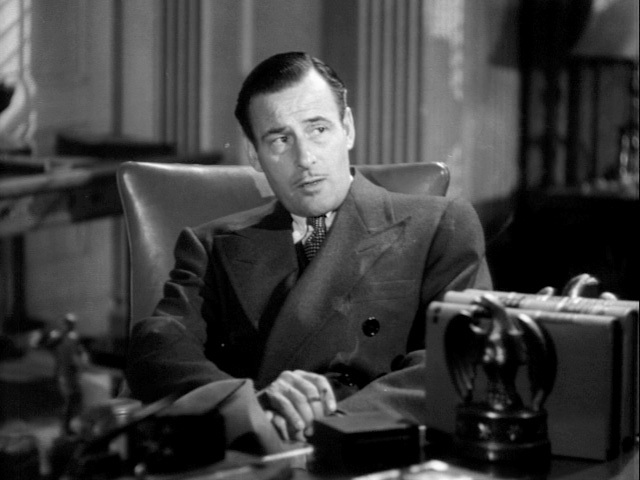 Included in that category is Tom Conway, whose resemblance to his brother George Sanders is more than physical: he plays the sort of casual cynic that we are used to seeing from Sanders. 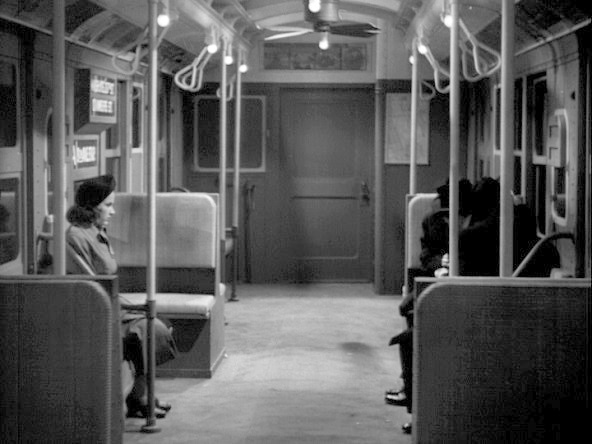 Brooks’s performance was perhaps the most difficult to render, and the most subtle to interpret. She had to convey both fear of, and indifference to, death, simultaneously, and succeeds. The performances are assisted by the writing. In terms of character, it is very good. These are not two dimensional people. The friendship between Conway’s Doctor Judd and Erford Gage’s Jason Hoag, a poet, is a case in point. One a scientist, the other a dreamer, their relationship seems to consist of disdain and distrust, yet the viewer can see an alliance of sorts, especially at the end, when they show a surprising solidarity in their stand against the villains. But, much of the time, one is never sure of Judd’s loyalties, and the atmosphere is such that one can never really be confident even of a poet. The atmosphere is key here. The use of shadows, camera angles and lighting creates scenes that are suspicious and tense. One of the earliest moments characteristic of this quality comes when Hunter and a private investigator (Lou Lubin) break into a building to examine a locked room. Confronted by the darkness at the end of a corridor, neither wants to venture into it. We are suddenly in a situation similar to children facing a monster in a closet at night, and the results are effective. This very quality is one that would turn some viewers off. This is not a horror movie with monsters leaping from behind doors, or blood splashed on walls. 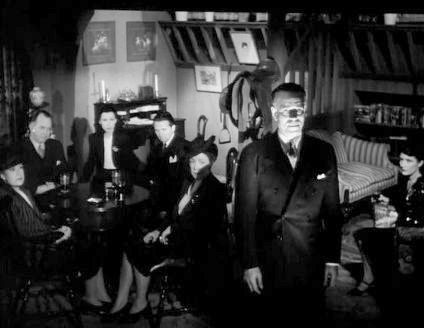 The Seventh Victim aims to frighten, not startle or shock. But there is a certain truncated quality to the film, as if there was more that should have been written, more story left untold. Practically, an example may be the kidnapping of one of the characters: we are never told how the villains knew where she would be. 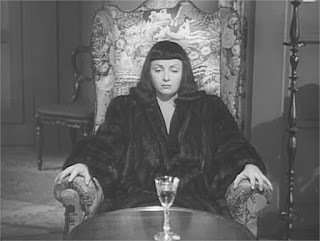 But for all its flaws, The Seventh Victim is worth watching, especially by a lover of movie technique. 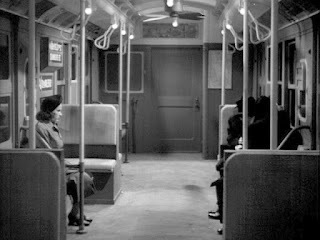 It must have been a contrast to the usual fare in cinemas at the time. Not only does it not mention the Second World War, then raging (indeed, Gage would enlist in the U.S. Army before the year was out, and be killed in battle in 1945), but its choice of villains - a cult of Satan-worshippers - must have been unique. Even here, the story avoids the easy way: the Satanists are ordinary people, but all the more sinister for that. And I was surprised the ending avoided censorship under the Production Code of the time. 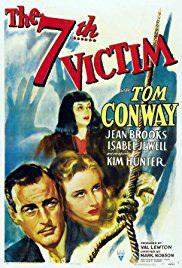 An atypical movie, both for its era and in general, The Seventh Victim is not excellent but is worth a viewer’s time. Your instincts were correct about the "truncated quality." From the Wikipedia entry on this film: "It was later revealed that Robson and an editor, John Lockert, had removed four substantial scenes from the final cut, including an extended conclusion."